← September is Head Lice Awareness Month! Healing Hazel manufactures Hazelwood and 100% Baltic Amber jewelry in Canada. For centuries, families have trusted amber (a conifer resin fossil) to relieve teething and joint pain, naturally. Green Team is excited to announce the addition of Healing Hazel Baltic Amber jewelry to our product lineup. You’ll be able to find 100% authentic Baltic Amber Teething necklaces and bracelets for babies and adults at Green Team Retailers nationwide! Open a wholesale account today and order this and more from Green Team. 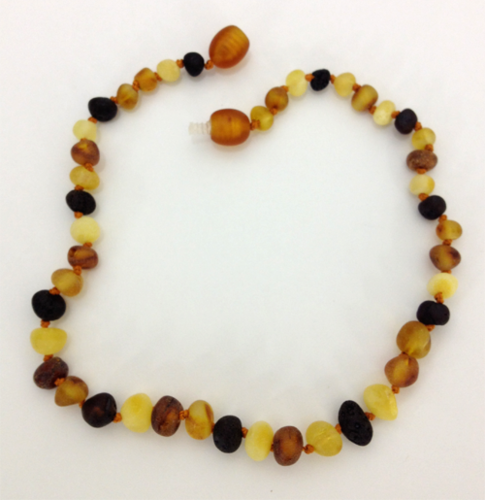 This entry was posted in Blog and tagged new products, wholesale baltic amber. Bookmark the permalink.